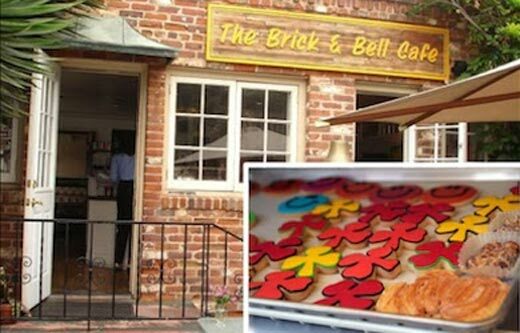 The Brick and Bell Cafe is famous for their freshly-baked scones. Deal Me in Todaydiscount vouchers are providing La Jollans, other San Diegans, and visitors with great bargains on everything from hair cuts to fresh flowers to restaurant meals. Deal Me in Today La Jolla launched in late May in response to consumer’s complaints about coupon deals that are city-wide. At the moment, you can get a $20 voucher at Brick and Bell Cafe for only $10, and it’s valid until September 16. That means any time this summer you can enjoy coffee and freshly-baked scones or smoothies and gourmet salads at 50% discount. If you aren’t familiar with Brick and Bell Cafe, it’s that quaint cottage on Silverado Avenue that you’ve driven by a million times. Buying a deal voucher is simple: Just click on the ad on this page or go to Deal Me in Today, click on “Buy Now,” enter your credit card details and a voucher will be emailed to you within 15 minutes. All you have to do is print the voucher and you’re good to go. This is what I call a win-win situation. La Jolla businesses meet new customers and you save money on a whole range of fun opportunities. I’ve got a soft spot in my heart for freshly-baked scones, so I’m buying the Brick and Bell voucher right now.